Can you imagine how it feels to step down as editor of Vogue? You've reached the apex of an institution which many people in journalism and fashion only dream of entering. To let go of that must be a huge decision. 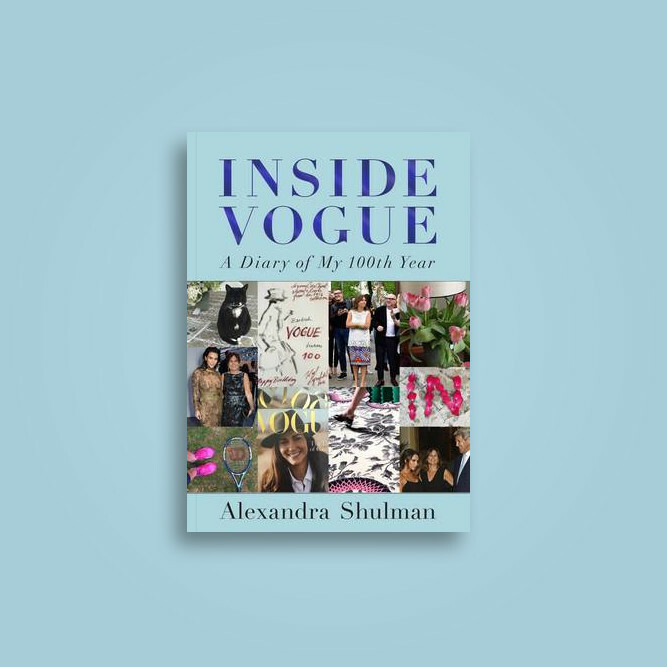 But Alexandra Shulman has perhaps left us some clues over the past year. The fact she has been considering leaving for months doesn't surprise me. Her legacy has been well and truly cemented in the past 12 months, in no small part thanks to her own efforts. By founding the Vogue Festival, serving a neat quarter century in her role, and convincing the Duchess of Cambridge to cover the centenary edition of British Vogue, Shulman can rest assured that her reputation will endure. It must also be a comfort to have published Inside Vogue, her diary of Vogue's centenary year. The book is a beautifully-produced hardback which, once you remove the half-dustcover, looks as though it will survive another 100 years in many a personal library. Much like the centenary edition of British Vogue, here is a piece of print on paper which has been made with the intention of both preserving the past and holding its own in the future. I read the book over Christmas, and since I imagine a few more people will be buying it during the final months of Shulman's tenure (perhaps waiting it out for the paperback ) I wanted to share this review, to encourage anyone who is unsure about reading it to take the plunge. I found Inside Vogue extremely readable. Always a fan of diary formats, I found myself racing through the entries, eager to see how everything was going to pan out with the Duchess of Cambridge cover, the Vogue 100 exhibition, and the Vogue Festival. It is a skill to be able to keep someone who already knows essentially what is going to happen hooked until the end. But this is not simply a log-book of her work. Shulman mixes the story of the centenary issue with snippets of her domestic life and observations of London, Berlin, and Paris in all their beauty. It is no surprise that she has a gift for description, given that she is a published novelist. When that literary instinct meets the whirlwind of her life in the fashion industry, her prose really sparks and fizzles on the page. She has a particular knack for describing people, calling one man "one of those good-looking, sorter-outer men, a kind of Sebastian Coe type." Two compound adjectives and a comparison and hey presto, the reader knows exactly what she's talking about. At another point, Kate Moss has her arm slung around Shulman's 21-year-old son, "looking like a cat with a baby mouse". It's wry and sparing and as candid as it can be. Shulman admits that the diary is an edited version of her life, but even so it is honest about the depressing or mundane moments of her job. Sometimes her stress seeps off the page, and I found myself filled with second-hand worry about a documentary I had already seen, a festival that had already happened, and the fact that Shulman's house seems to be constantly on the verge of another problem with the plumbing. The subtitle of the book "A Diary of my 100th Year", while tongue-in-cheek, does hint at fatigue, and I have to admit I did wonder while reading if she was likely to step down soon. 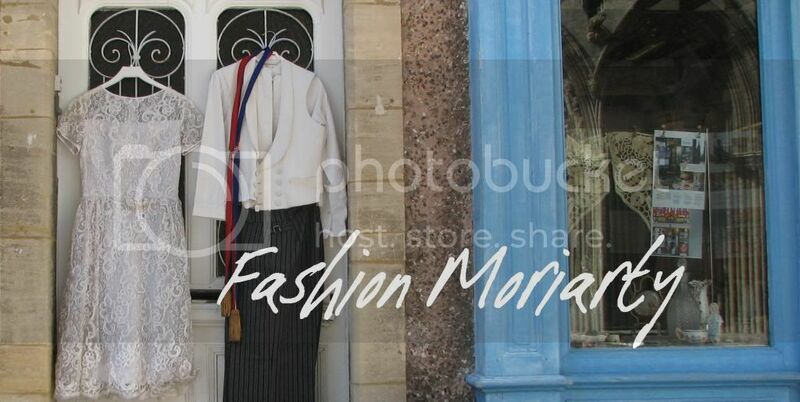 The sections I found most difficult to read were those about the making of Richard Macer's Absolutely Fashion documentary, which if you read this blog regularly you may know I thought very little of. Shulman's slow realisation that Macer will make a wide-eyed, deliberately obtuse, and intrusive final product was amplified by the fact I had already watched the film. Yet the Vogue team's suspicion of Macer and the general sense of unease about the documentary itself is an engaging storyline. And this diary, though an accurate record, has several compelling narrative strands. The beauty of many is reading about them after the fact. There is something comforting to read Shulman's account of a year which exists in our own very recent memory. The same is true of the frequently-mentioned EU referendum and the US election, as she frequently expresses her horror at the prospect of Brexit and a Trump presidency. The diaries end on the night of the referendum, before the results come in, which I thought was a clever reminder that the cycle of stress is never over: though Shulman has pulled off several amazing events and a much-praised issue of the magazine, there are bigger challenges waiting around the corner. And so, on with another year. Or so we might have thought. As it turns out, at the end of her diary, she is embarking on her final year at the helm of the legendary publication. All I can say is that I admired Shulman before I read this book. Now, having seen close-up the amount of stress, organisation, and determination that went into the centenary issue and the Vogue 100 exhibition, she seems to me something of a miracle-worker. I am excited to see what she will do next. Edit: I'd also just like to add that Vogue's Managing Editor Frances Bentley, has also made the announcement that she will step down today (you may have missed it due to the coverage of Shulman's exit, which I suspect was rather a deliberate choice by Bentley). I think she deserves just as much credit as Shulman for the magazine's success, and on a personal note, she also gave me some career advice last year for which I am very grateful. I wish both women all the best for the future.